Keyrings There are 201 products. 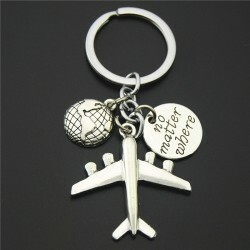 Airplane, silver keychain. Material: zinc alloy. Please select a type. Sleeping baby - keychain. Material: zinc alloy, fur. Please select a type. 1- way valve CPR mask. Bag material: nylon. CPR mask material: food-grade PE CPR mask color: transparent. 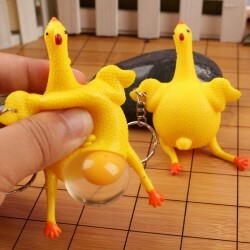 With keyring. Color sent randomly. 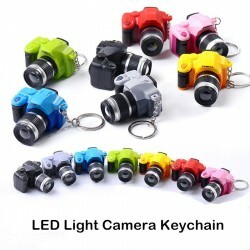 Camera, keychain. With LED and sound. Material: ABS Please select a color. Keychain with a butterfly. Material: zinc alloy, rhinestones, PU leather. Please select a type. 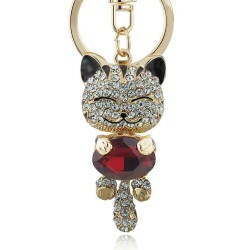 Keychain with crystal cat. Material: zinc alloy, rhinestones. Cat size: 5.5 * 2.7cm. Total length: 11.8cm. Please select a color. 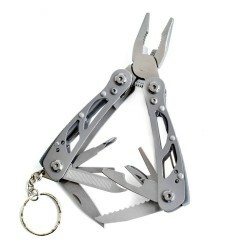 Multitool keychain keyring. Material: 440C steel. Folded size: 7.2cm. Open size: 11cm. 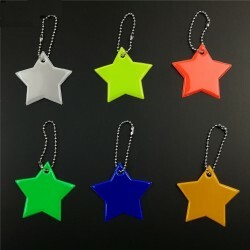 Small star keychain keyring. Material: reflective PVC Color: sent randomly. 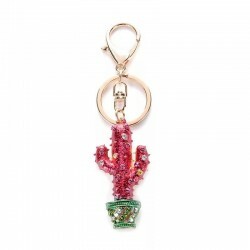 Crystal cactus keychain keyring. Material: zinc alloy, rhinestones. Please select a color. 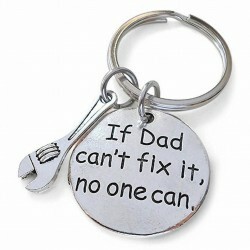 "If Dad Can't Fix It No One Can" keychain keyring. 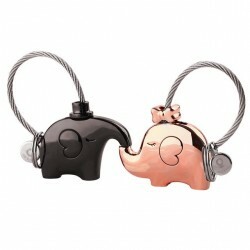 Material: zinc alloy. Please select a type. "Drive Safe Handsome I Love You" keychain keyring. Material: stainless steel. Weight: 20g. 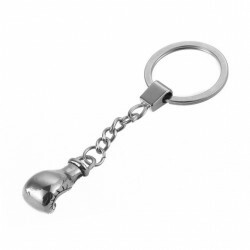 Crystal skeleton keychain keyring. Material: zinc alloy, rhinestones. Pendant size: 4.2 * 4cm. Please select a type. Red turnip keychain keyring. 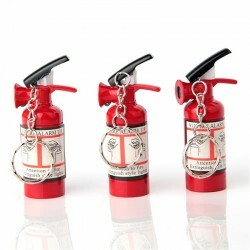 Material: zinc alloy, enamel. Pendant size: 5.3 * 2.8cm. Weight: ~ 14g. Round eye keyring. Material: zinc alloy, rhinestones, enamel. Pendant size: ~ 4.3cm. Please select a type. 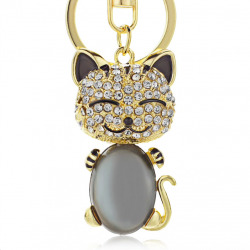 Crystal cat keychain keyring. Material: zinc alloy, opal, rhinestones. Pendant size: ~ 5cm. Crystal peacock keychain. Material: zinc alloy, rhinestones. Pendant size: ~ 10.5cm. Piggy metal keychain. Material: zinc alloy. Pendant size: 2.7 * 2cm. Please select a color. 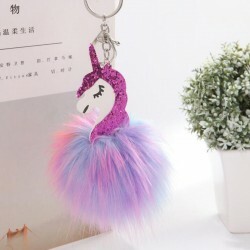 Unicorn & pom pom keychain keyring. Material: zinc alloy, fur. Please select a type. 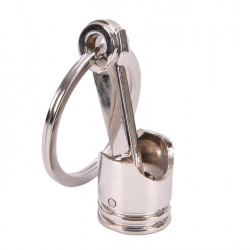 Perfume bottle keyring keychain. Material: zinc alloy, rhinestones, enamel. Bottle size: 4.5 * 5cm. Total length: 12cm. Please select a color. 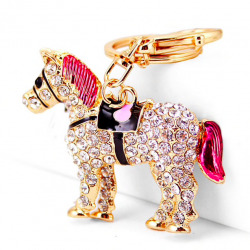 Crystal horse keychain keyring. Material: metal, rhinestones. Pendant size: 4 * 5cm. 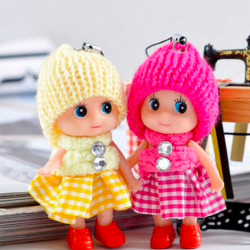 Soft doll keychain keyring. Material: plastic, cloth. Size: 8cm. Color sent randomly. Drive Safe I Need You Here With Me keychain. Material: stainless steel. Keyring diameter: 25mm. Pendant size: 32 * 12cm. Please select a color. 25 lumen LED. Water resistant. Material: plastic. 3 mode light. Glow-in-the-dark button. Battery: 2 * CR 2032 button (incl.). Bulb: 1 * COB LED. Size: 7 * 3.5cm. Weight: 29g. Color sent randomly. Flamingo keychain keyring. Material: fur, metal, PU Pompom diameter: ~ 8cm. Length: ~ 25cm. Weight: ~ 35g. Please select a type. 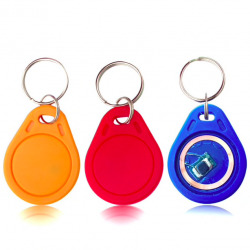 Key fob tag keychain keyring. Material: ABS Water resistant. Operation frequency: 13.56Mhz Detecting distance: 3-10cm. Compatible with all RFID reader to gain access. Size: 3.5 * 2.8 * 0.4cm. Quantity: 10 Color: sent randomly. High heel shoe keychain keyring. Material: alloy, crystal. Pendant size: 5 * 4.5cm. Length: 11.5cm. Please select a color. 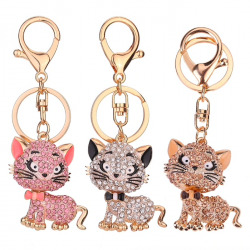 Crystal cat keychain keyring. Material: alloy, rhinestones. Size: ~ 11 * 5 * 4cm / 4.33 * 1.97 * 1.57'' Please select a type. 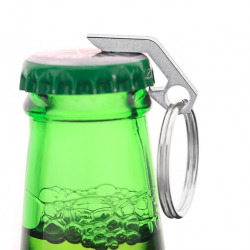 Bottle opener keychain keyring. With LED light. Material: plastic, metal. Size: ~ 11.43 * 6.35 * 2.54cm Weight: ~ 30g. Color: sent randomly. 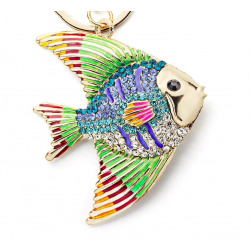 Fish keyring keychain. Material: zinc alloy, crystals, enamel. Size: 13 * 6 * 6.6cm. Please select a type. Engine pistol keychain keyring. Material: alloy. Pendant size: ~ 45 * 16 * 16mm / 1.77 * 0.63 * 0.63" Bottom diameter: 15mm / 0.59" Key ring diameter: 32mm / 1.26"
Boxing gloves keychain keyring. Material: alloy, enamel, rhinestones. Baseball bat keychain keyring. Material: alloy. Size: ~ 11 * 1cm. Glitter pompom keychain keyring. Material: zinc alloy, sequins. Size: 8 * 15cm. Weight: 9g. Please select a type. Violin & boxing glove keychain keyring. Material: alloy. Length: ~ 10cm. Pendant size: ~ 3.2 * 6.9cm. Please selct a type. Elephant couple keychain keyring. Material: zinc alloy. Elephant size: 2.5 * 3.9cm. Quantity: 2 Please select a type. 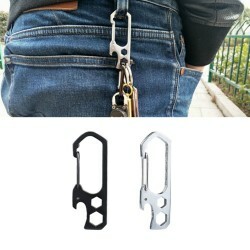 Carabiner clip keychain keyring. High-strength resilience. Material: stainless steel. 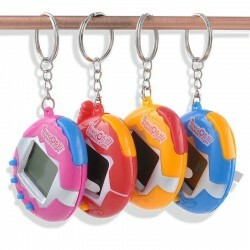 Size: 3 * 10cm / 1.18 * 3.94"
Electronic cyber pet keychain keyring. Material: plastic. Screen size: 2 * 2cm. Size: 5 * 6cm. Battery: 2 * 1.5V buttons (included). Please select a color. 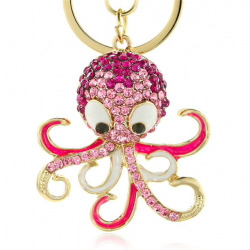 Octopus keychain keyring. 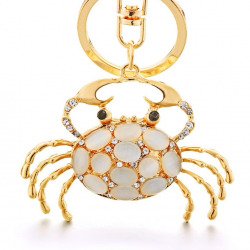 Material: zinc alloy, rhinestones, enamel. Size: 4.5 * 4.3cm. Please select a color. 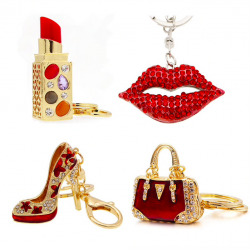 Kiss & red lips keychain keyring. Material: zinc alloy, rhinestones. Size: 3 * 6.5cm. Bottle opener keychains keyring. Material: metal. Size: 2.7 * 1cm. Please select a type. 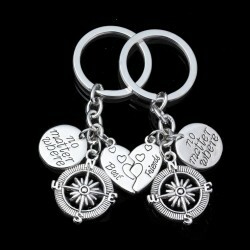 Car wheel rim keychain keyring. Material: metal. Size: ~ 17 * 35 * 90mm. Please select a color. 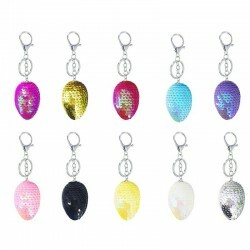 Crystal bags keychain keyring. Material: zinc alloy, rhinestones, enamel. Size & weight: see pictures. Please select a type. 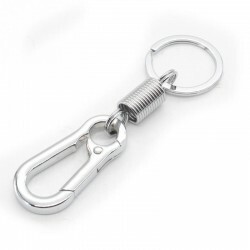 Camping carabiner, keychain keyring. Material: stainless steel. Length: 9 - 10cm / 3.54 - 3.94" Inner diameter: ~ 2.5cm / 0.98"
Camping carabiner, keychain. Material: stainless steel. Size: ~ 65 * 22 * 2.5mm / 2.56 * 0.87 * 0.10" Hex key size: ~ 8mm / 0.31" & 7mm / 0.28" Max. load-bearing: ~ 10kg. Please select a color. 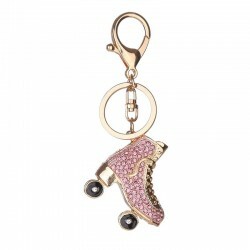 Roller skates shoe keychain keyring. Material: alloy, crystal. Please select a type.